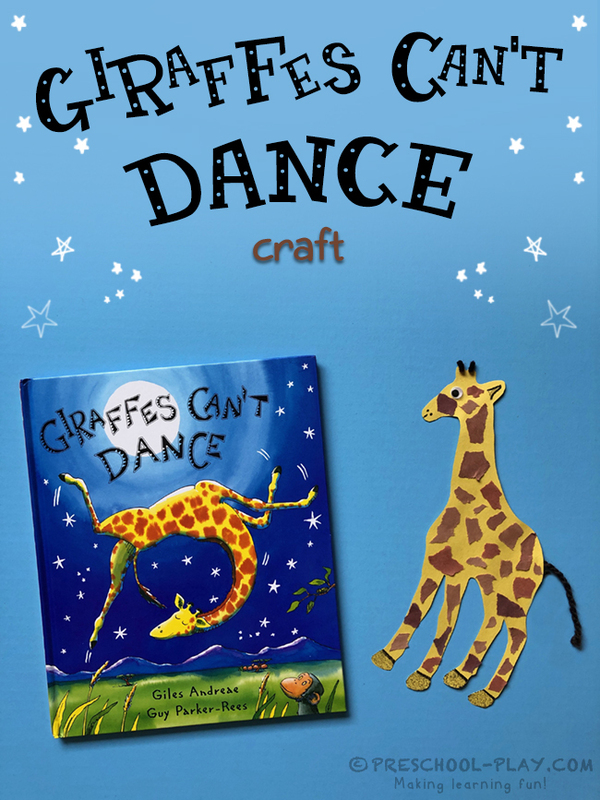 This giraffe craft is an engaging extension to Giraffes Can’t Dance by Giles Andreae and Guy Parker-Rees, a beautifully illustrated rhyming tale about a giraffe named Gerald. Gerald is clumsy with spindly legs and crooked knees. Humiliated, Gerald creeps off toward home. 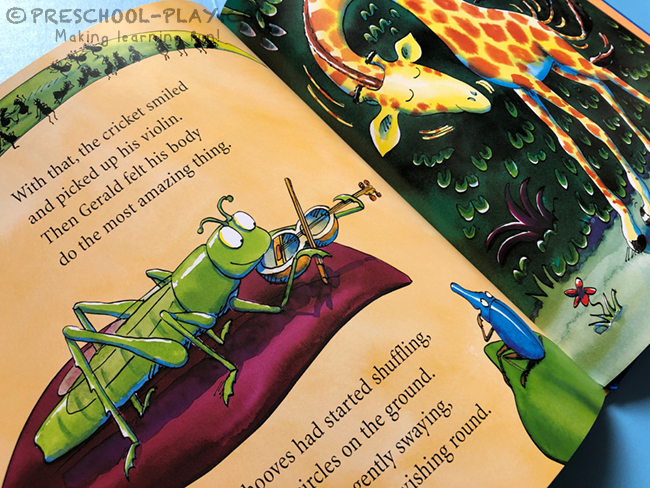 Along the way, he meets a wise and gentle cricket who encourages him to listen to the music around him: the swaying grass and trees and the branches in the breeze. Suddenly, the giraffe begins to dance the most beautiful dance. The other animals quickly gather around him, entranced by his moves. 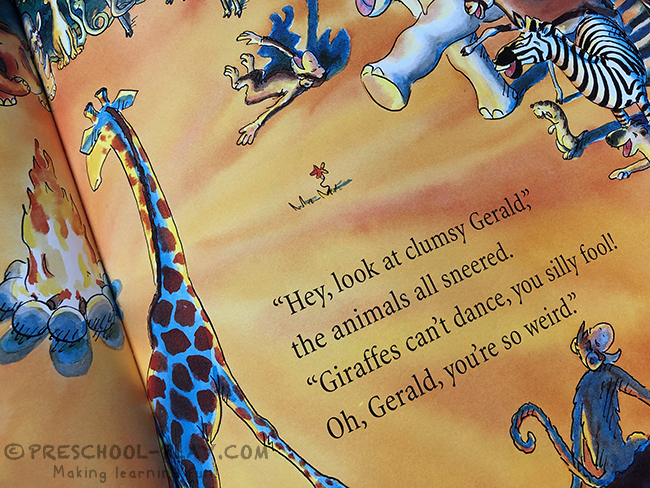 Gerald proves that it’s okay to be different, and that anybody can dance – they just need their own sweet tune. 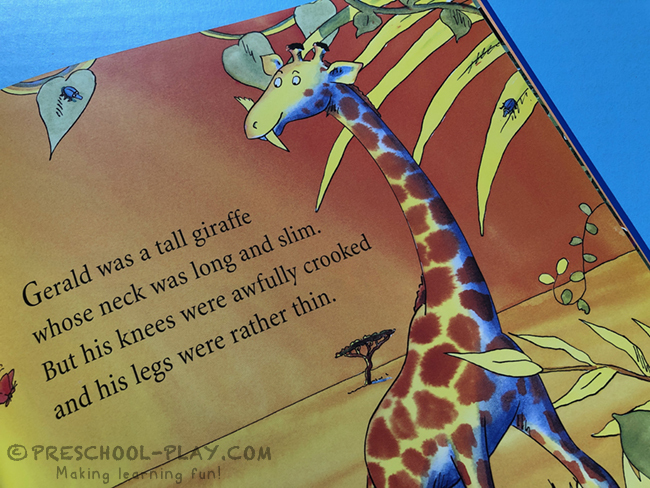 Provide each child with a giraffe (older students should be encouraged to cut out there own). 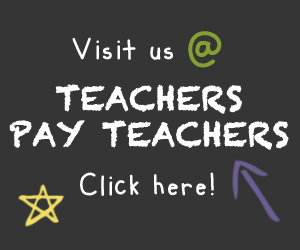 Learners will uses their fine motor skills to tear small pieces of brown construction paper, and to cut small pieces of yarn and pipe cleaner. Children will then practice their spatial reasoning skills by placing the torn paper within the allotted space on their giraffes. Finally, they will glue the spots, eyes, tail, and horns. Supply crayons and/or markers, so extra details may be added. 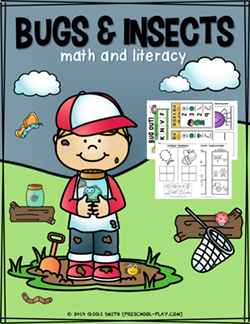 During this activity, make it a point to facilitate discussion about the book’s message, and to have some fun with rhyming (e.g. What rhymes with giraffe? ).